A Coronation Street storyline has highlighted the dangers of carbon monoxide poisoning, but there’s nothing fictional about illegal boiler work, with a Swindon parish councillor becoming the latest perpetrator of what is becoming a widespread problem. Despite being unregistered to carry out work on gas appliances, an unregistered gas fitter and parish councillor from Blunsdon, Swindon has been held accountable for putting a family at risk after installing a boiler replacement at a property in Swindon between 19 March an 30 April 2012, following the removal of an existing faulty gas boiler. The Health and Safety Executive (HSE) prosecuted Michael Compton for carrying out the work illegally and revealed that the boiler installer had shown complete disregard for the safety of his customers having already received a caution for undertaking similar work previously. Mr Compton’a illegal work was brought to light after a colleague refused to sign off the work and provide the homeowner with a guarantee. After appearing at Swindon Magistrates Court, where he was found guilty of breaching regulation 3 of the Gas Safety Regulations 1998, Mr Compton was fined £6,840 in total, including costs. 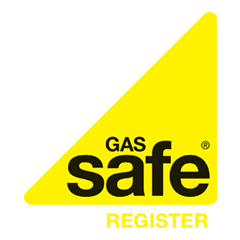 Inspector Whittles added that HSE would not hesitate to prosecute any unregistered gas fitter, whether a company or sole trader, found to be putting lives at risk by carrying out unlawful work on gas appliances.